Mountain View Press, 9780692572269, 306pp. Assigned as a nurse to a hospital ship during the Civil War, Dr. Rose Barnett hopes someone will apprentice her in the modern art of surgery. But she has more to learn than how to amputate the ruined limbs of Union soldiers. Confronted by her own preconceived notions of class, love, and race, she struggles to untangle life's persistent contradictions. As a pacifist, her greatest challenge is coming to grips with the terrible ironies of war. As a woman, she must learn to follow her heart. 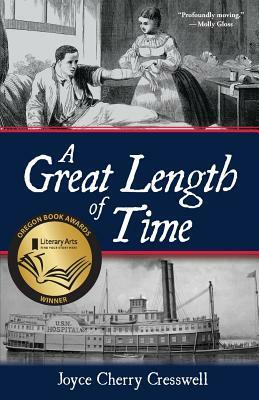 Based on the true story of a woman doctor in the American Civil War, A Great Length of Time is a woman's view of the politics and gender roles of the day, offering a fresh look at the war and the women who nursed its soldiers.